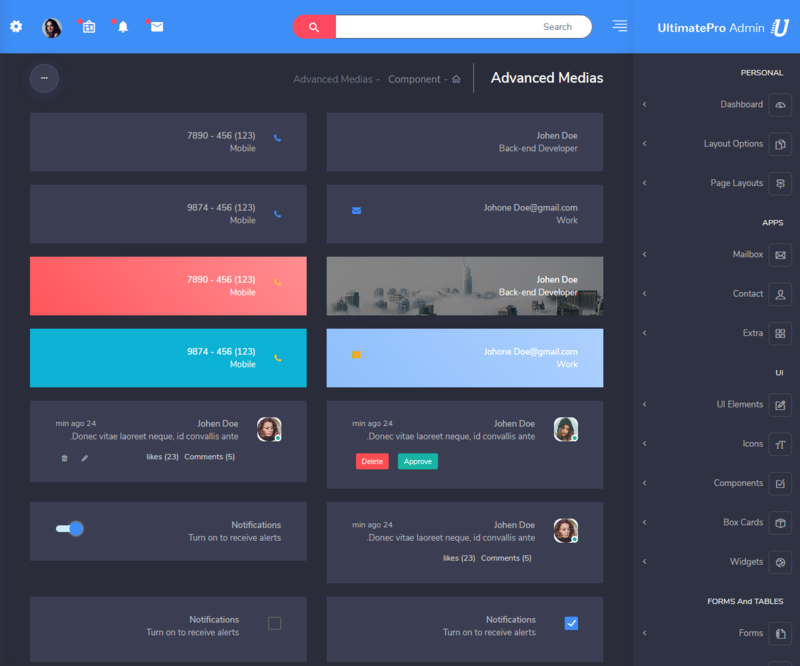 UltimatePro RTL Dark – Responsive Bootstrap 4 can be used by developer developing web applications like custom admin panel, project management system, admin dashboard, application backend, CMS, Saas, CRM, business website, corporate, portfolio, blog etc.  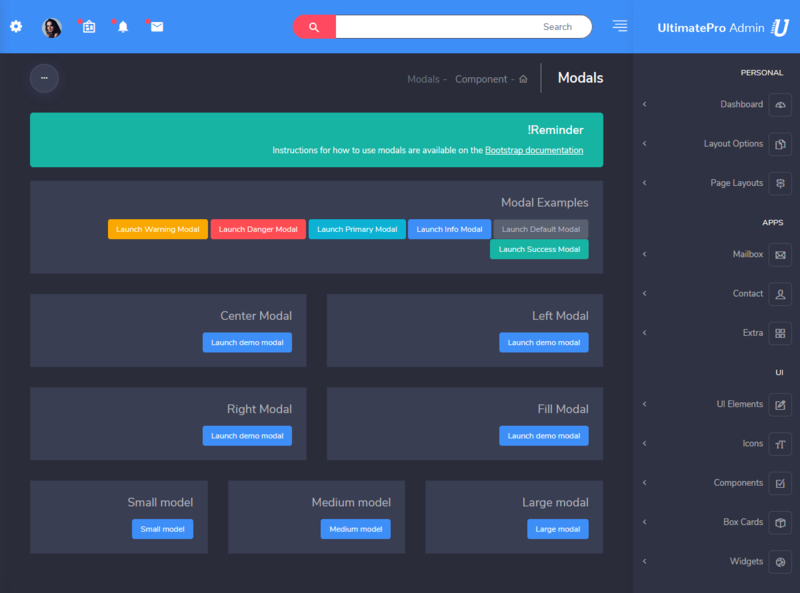 More than 150+ features and with widgets and plugins are included here to make your work easier. 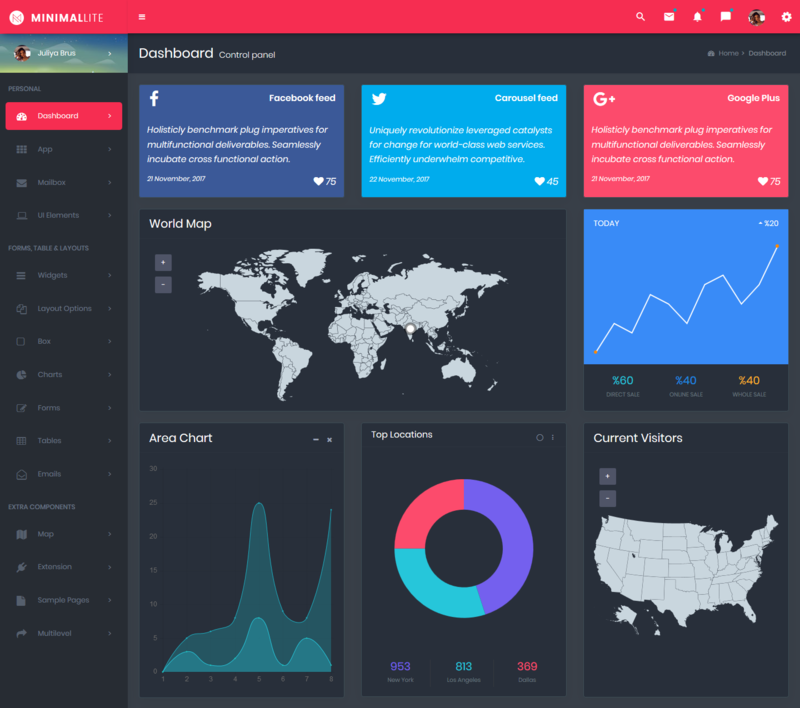 UltimatePro RTL Dark Admin – Responsive Admin Templates comes with music Dashboard. 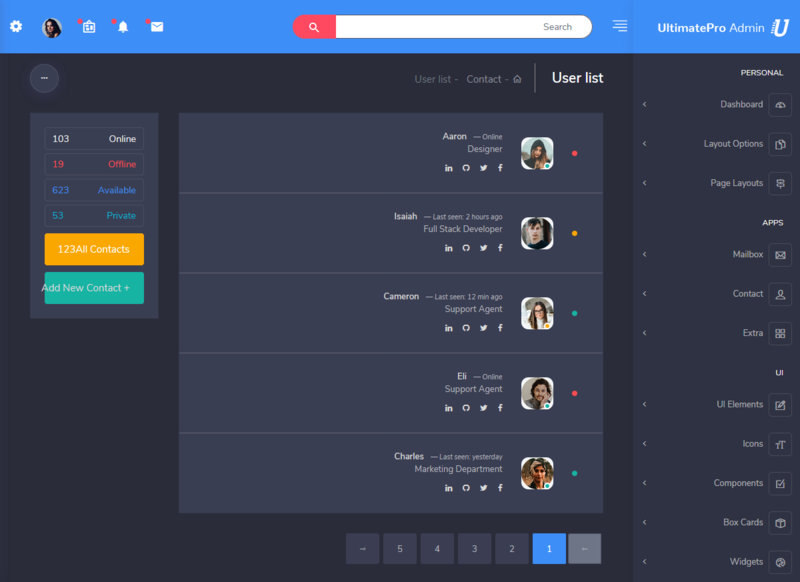 UltimatePro RTL Dark Admin – Bootstrap Admin Templates provides Contacts / Employee List. 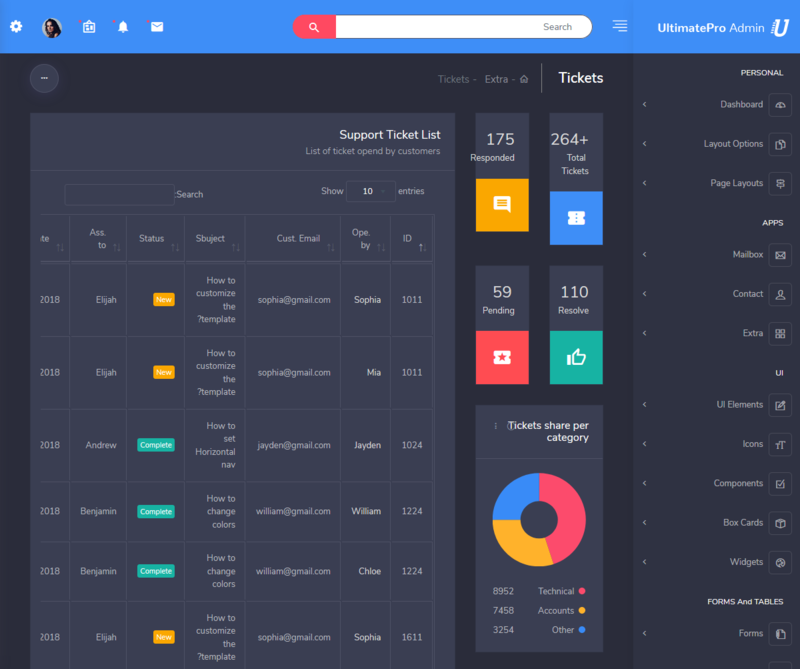 UltimatePro RTL Dark Admin – Responsive Bootstrap 4 Admin provides Support Ticket List. 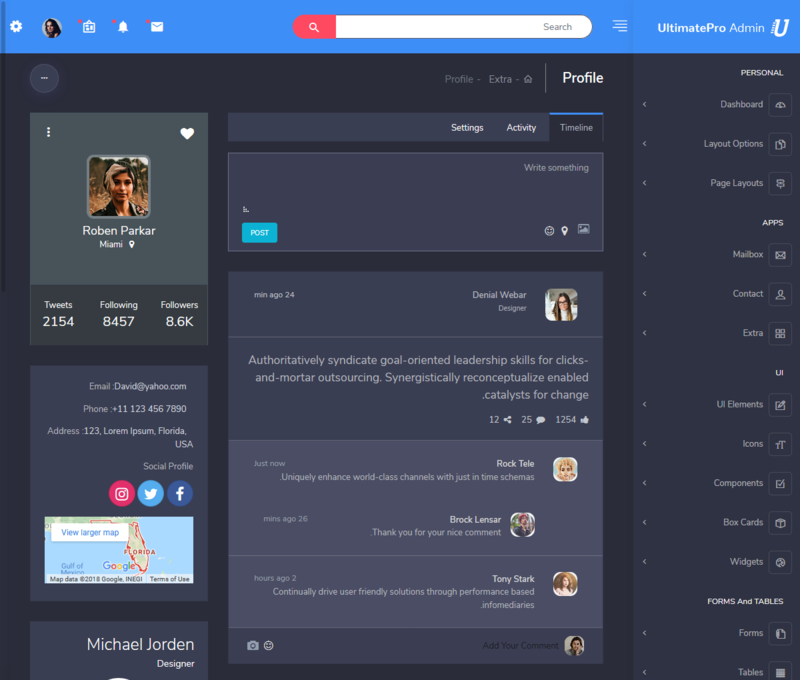 UltimatePro RTL Dark Admin – Bootstrap Admin Templates provides User Profile. 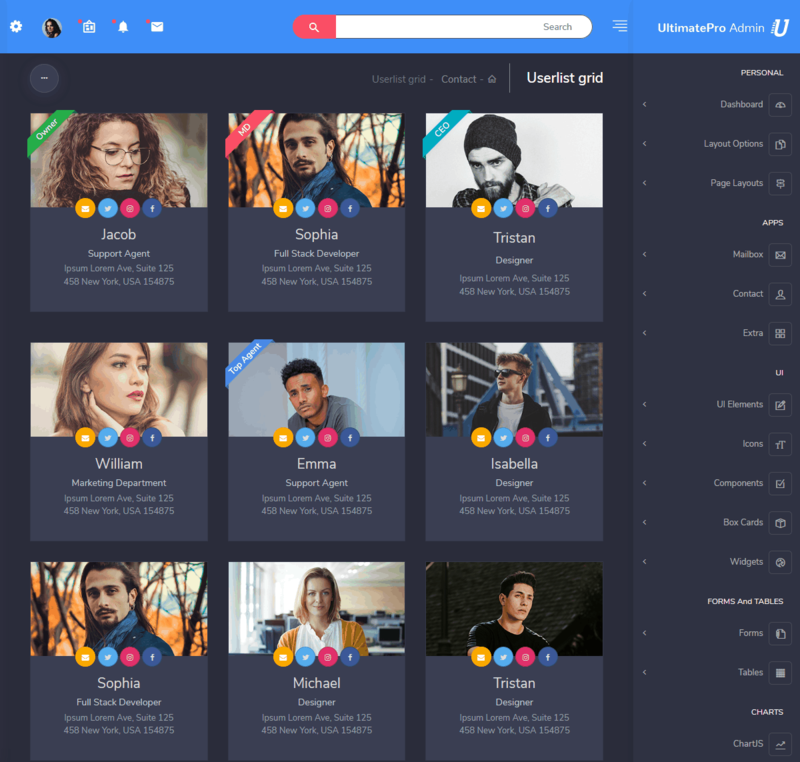 UltimatePro RTL Dark Admin – Premium Admin Template comes with Userlist grid. 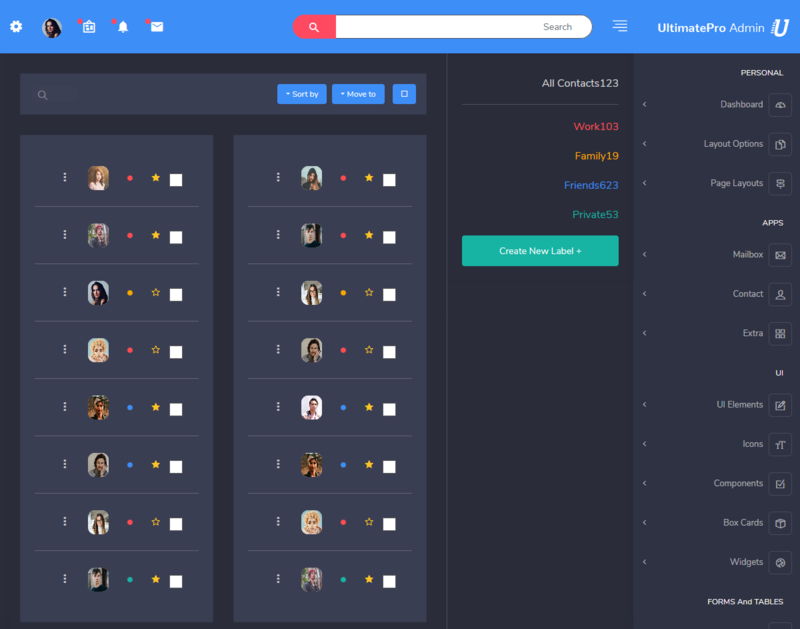 UltimatePro RTL Dark Admin – Premium Admin Template comes with Userlist. 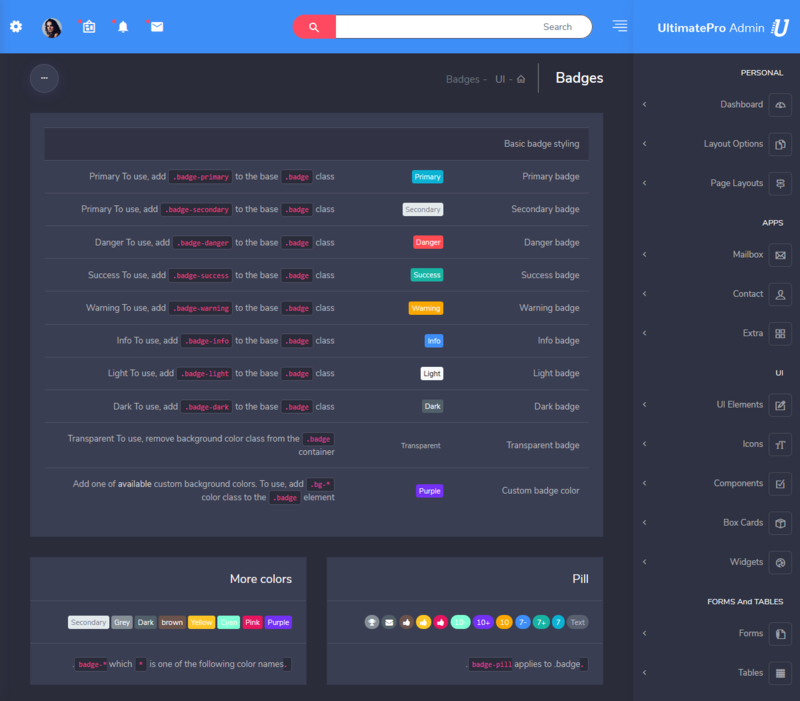 UltimatePro RTL Dark Admin – Bootstrap 4 Admin Dashboard comes with Mailbox. 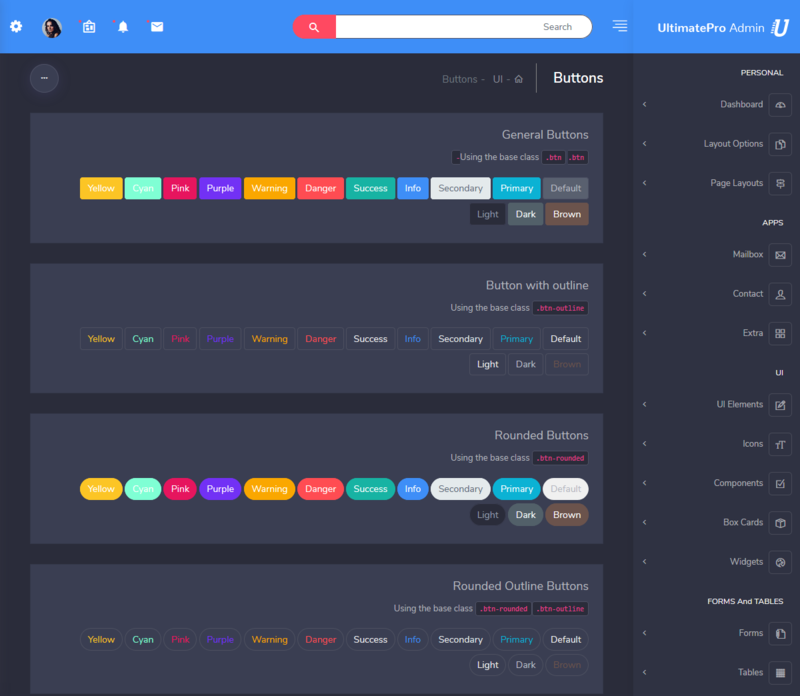 UltimatePro RTL Dark Admin – Responsive Bootstrap 4 Admin Template provides Badges in UI Kit. 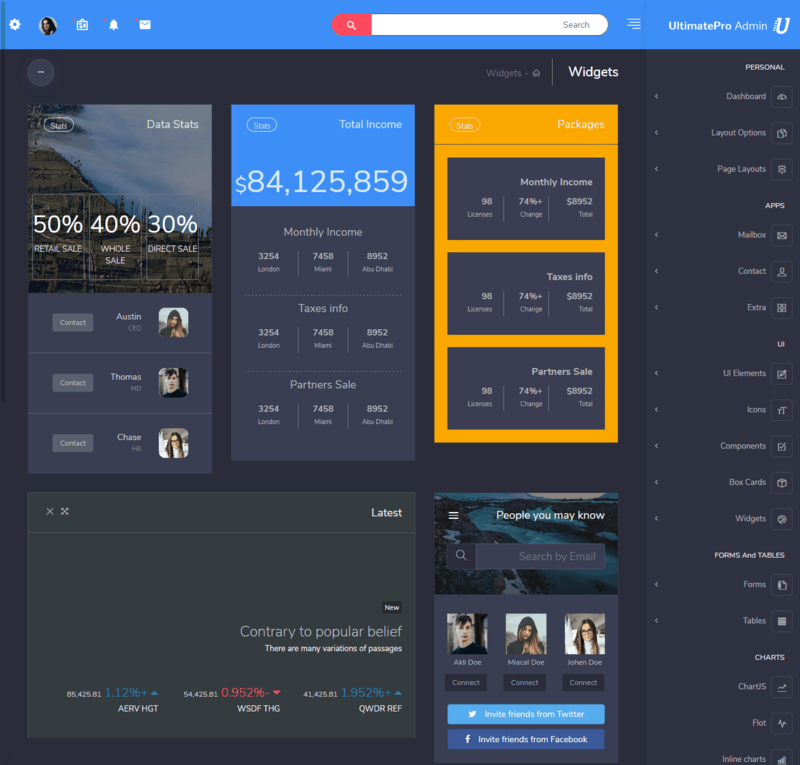 UltimatePro RTL Dark Admin – Responsive Premium Admin Template provides Bootstrap Switch. 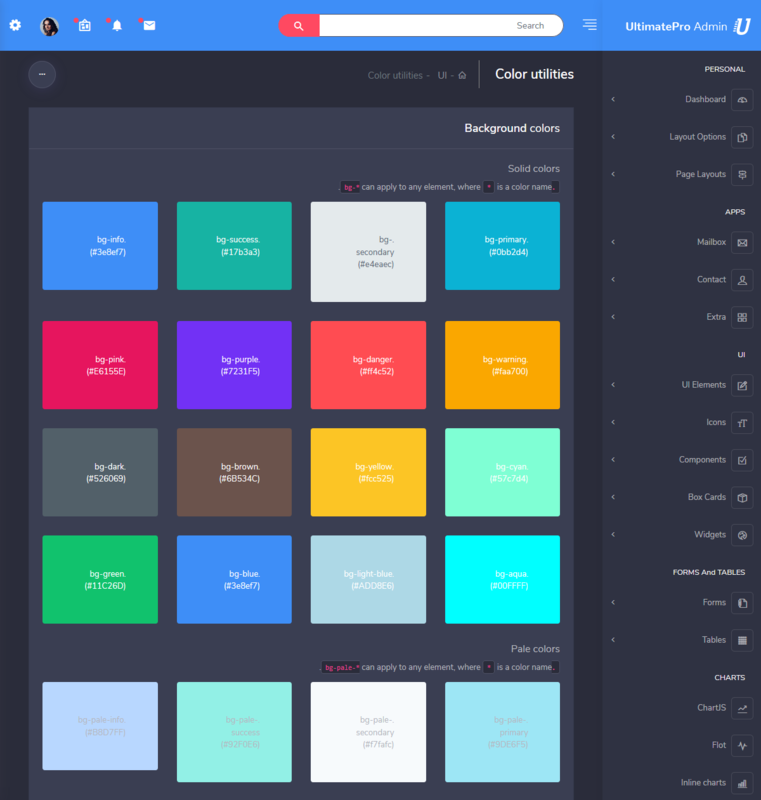 UltimatePro RTL Dark Admin – Bootstrap Admin Template provides Color Utilities in which different type of Color such as Pale colors, Border colors, Text colors, etc are available. 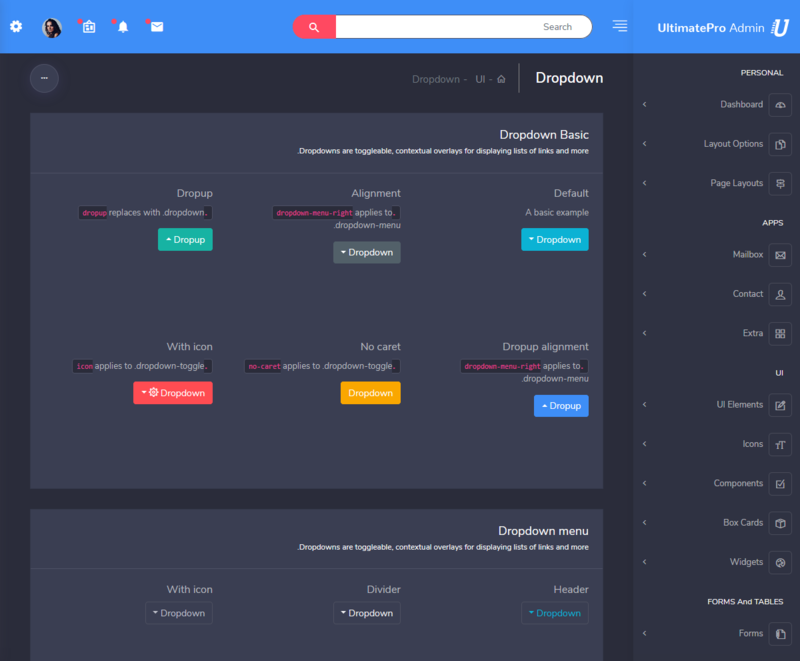 UltimatePro RTL Dark Admin – Bootstrap Admin Templates provides Dropdown, and it consists of Dropdown Basic, Dropdown menu. 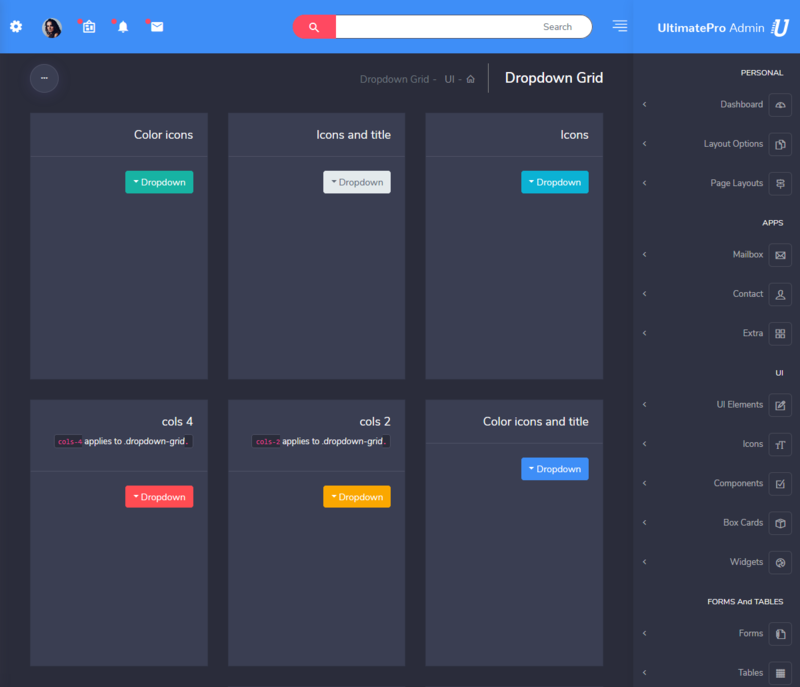 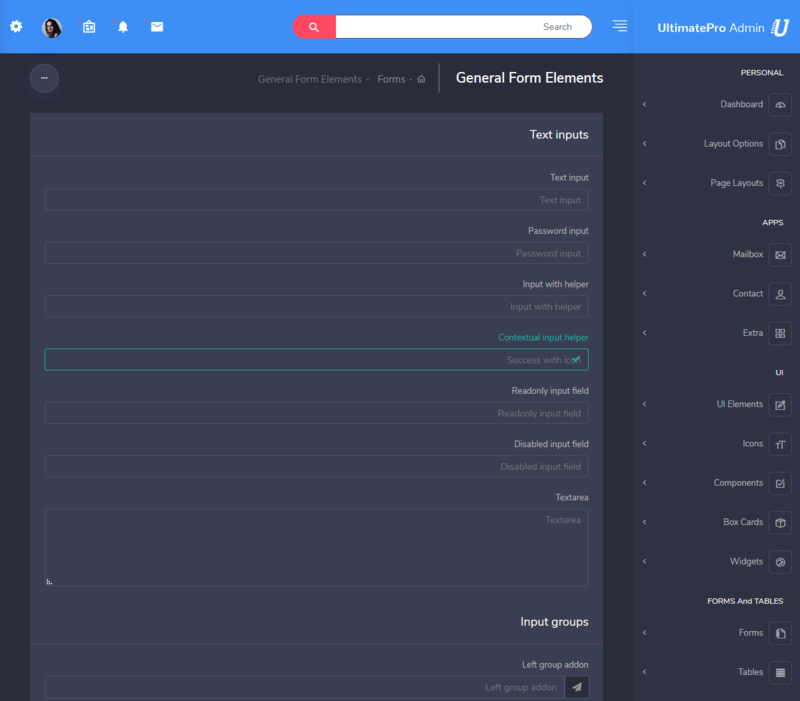 UltimatePro RTL Dark Admin – Bootstrap 4 Admin Templates provides a Dropdown grid. 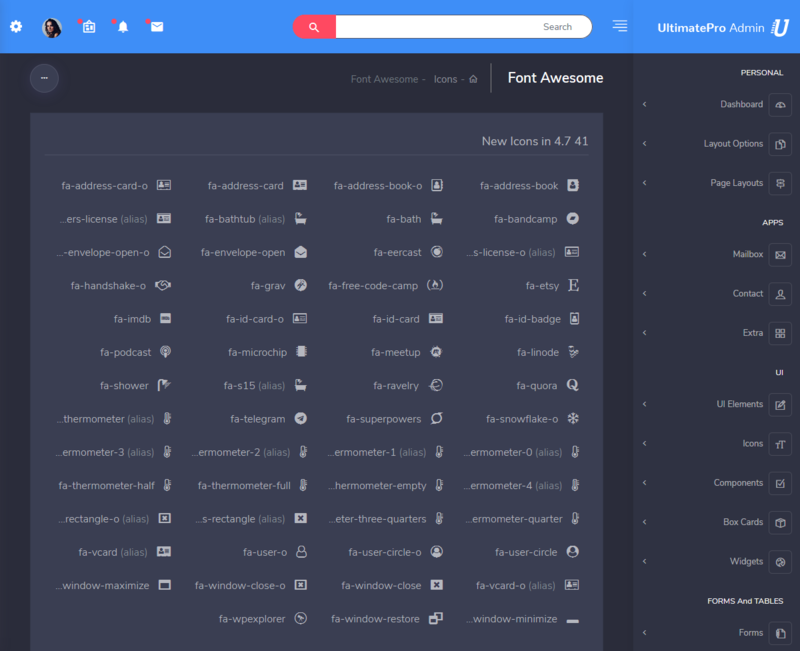 UltimatePro RTL Dark Admin – Bootstrap 4 Admin Templates provides General UI. 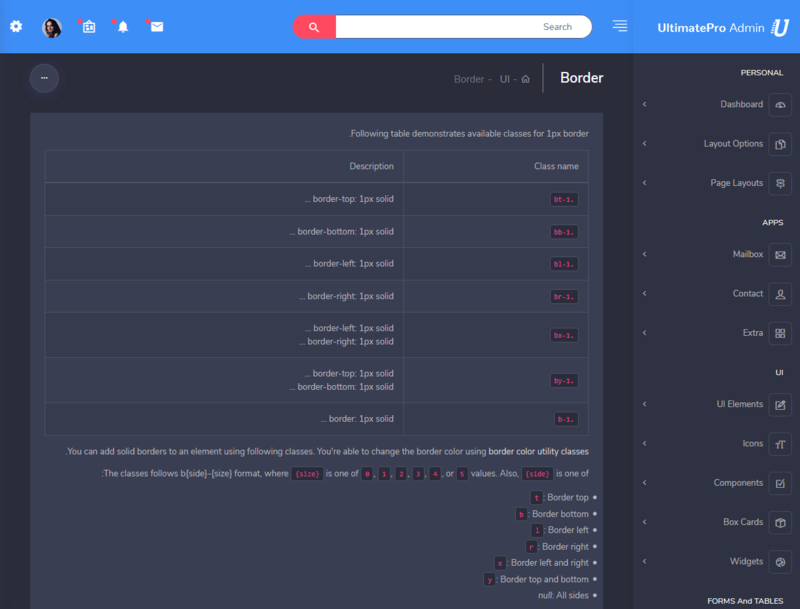 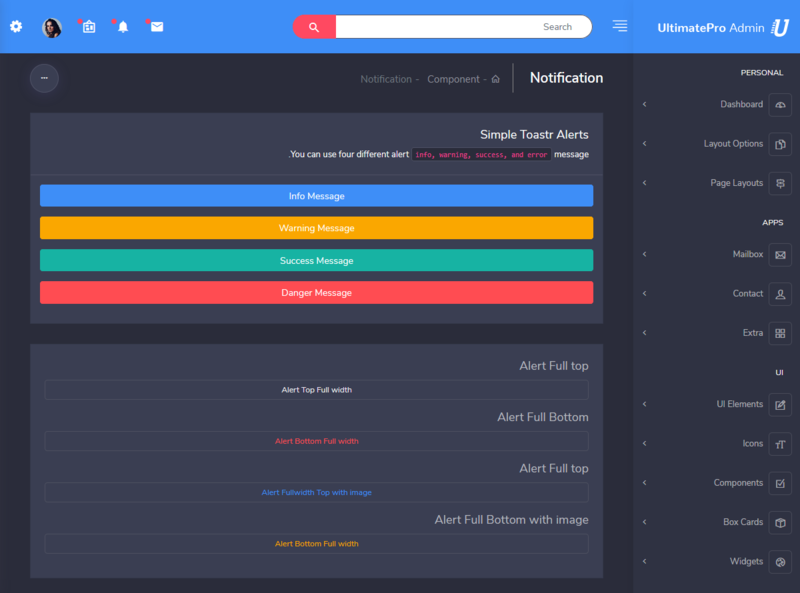 It consists of Alerts and Callouts, Custom Tabs, Progress Bars, Bootstrap Accordion & Carousel, etc. 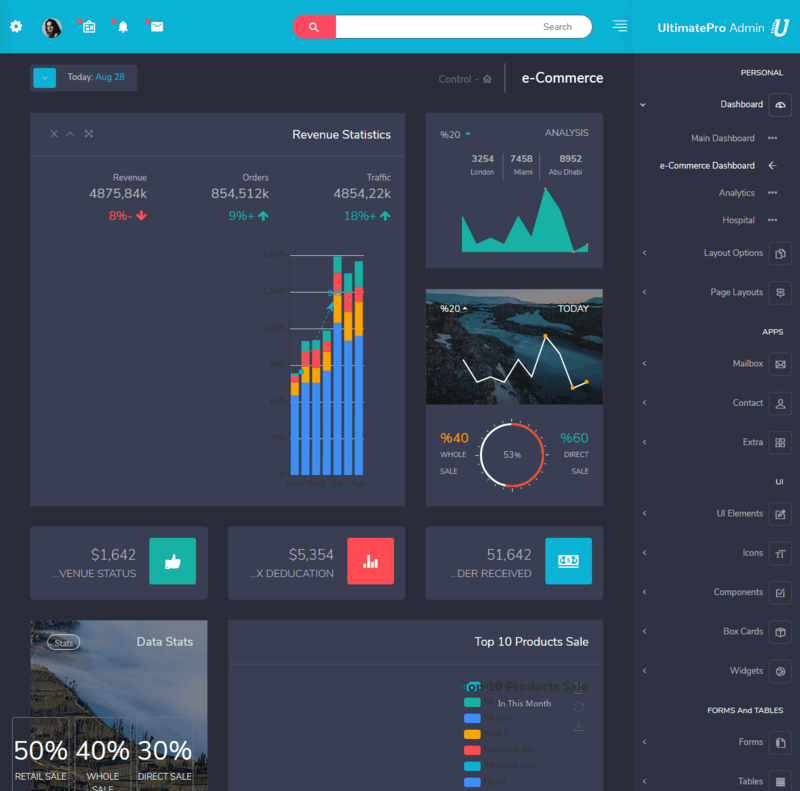 UltimatePro RTL Dark Admin – Bootstrap 4 Admin Dashboard provides Advanced media. 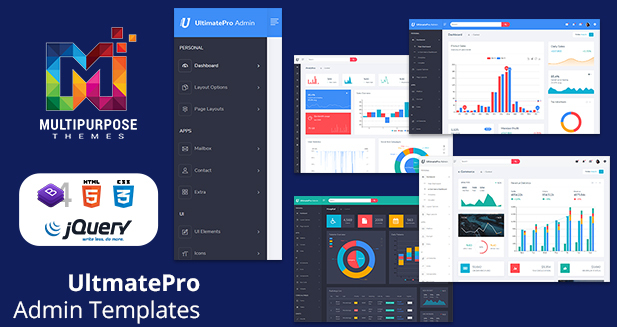 UltimatePro RTL Dark Admin – Bootstrap 4 Admin Templates provides Modals with examples. 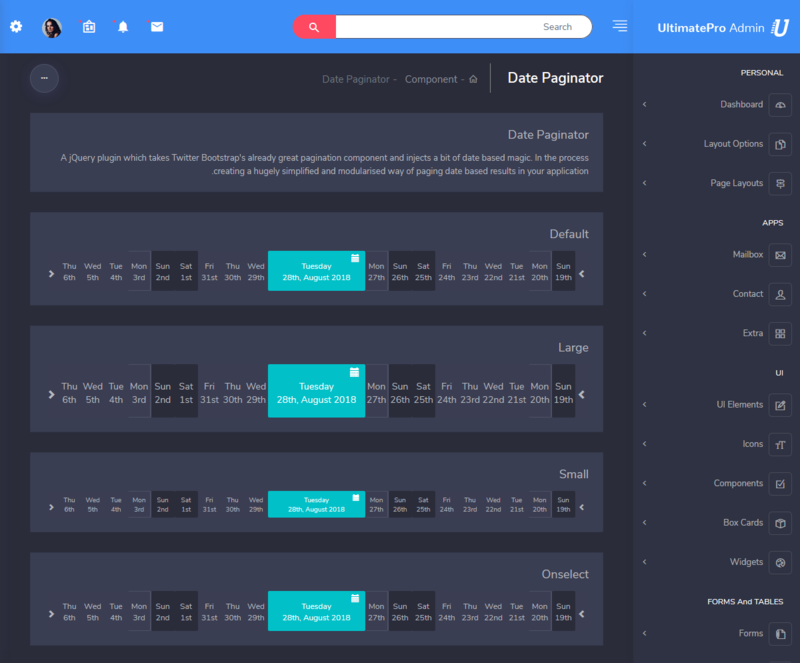 UltimatePro RTL Dark Admin – Bootstrap Admin Templates comes with Notification such as Simple Toaster Alerts, Normal Alerts, Dismissable Alerts. 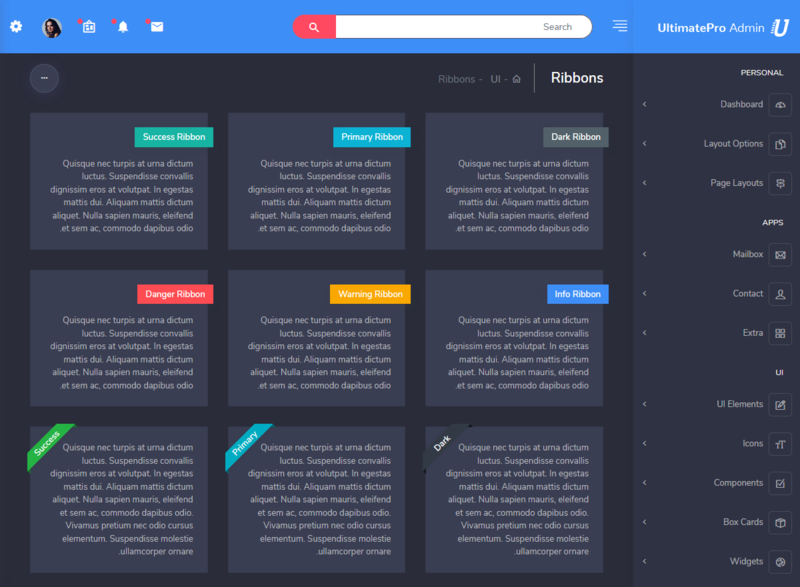 UltimatePro RTL Dark Admin – Bootstrap 4 Admin Templates comes with Ribbons such as Ribbons default, Ribbons right align Vertical ribbons, Bookmarked ribbons. 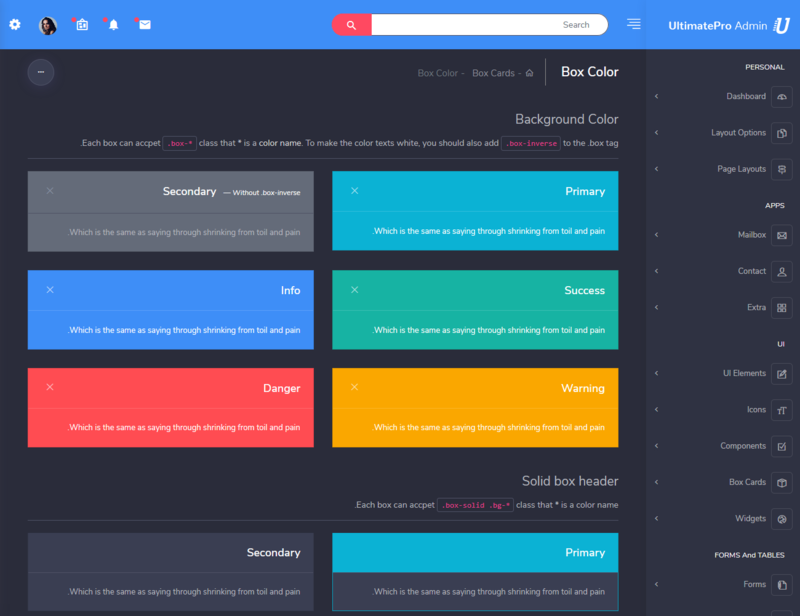 UltimatePro RTL Dark Admin – Responsive Bootstrap 4 Admin comes with Slider such as Bootstrap Range Slider, Carousel Slider Only Slide, Carousel Slider with Controls. 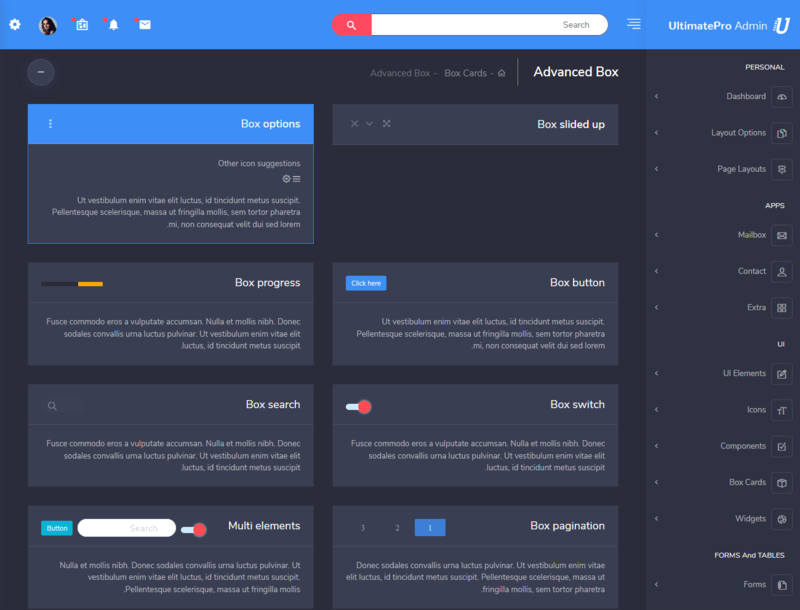 UltimatePro RTL Dark Admin – Responsive Bootstrap 4 Admin comes with Tabs such as Default Tab, Default Tab, Vertical Tab, Custom tab vertical Tab, Tab with dropdown, etc. 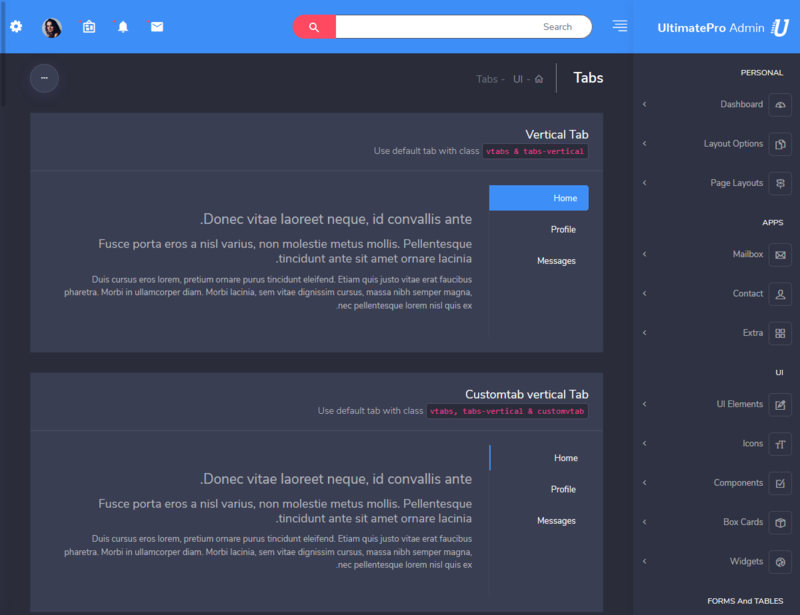 UltimatePro RTL Dark Admin – Bootstrap Admin Templates comes with Statistic widgets. 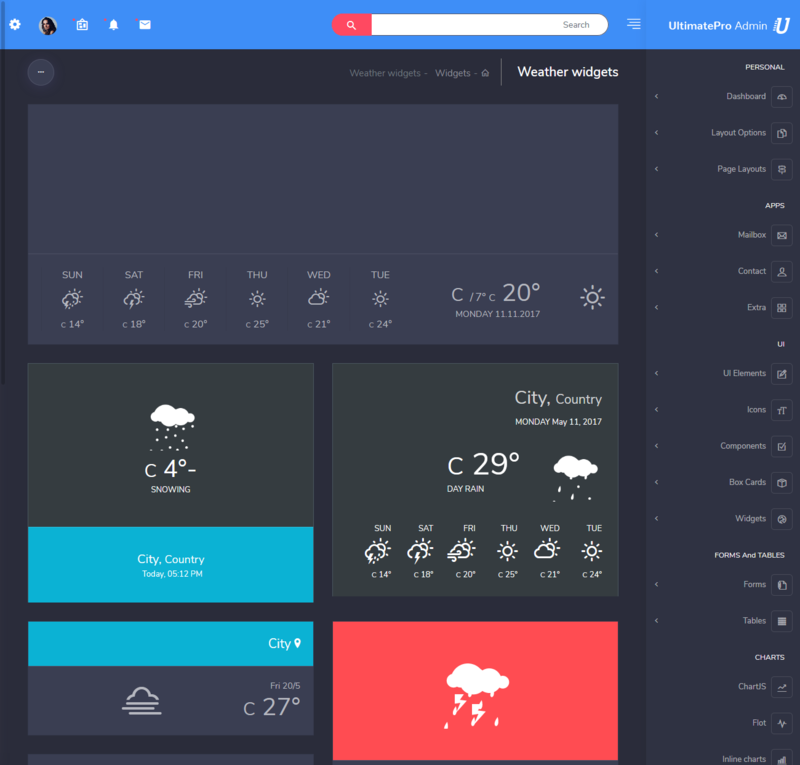 UltimatePro RTL Dark Admin – Bootstrap Admin Templates comes with Weather widgets. 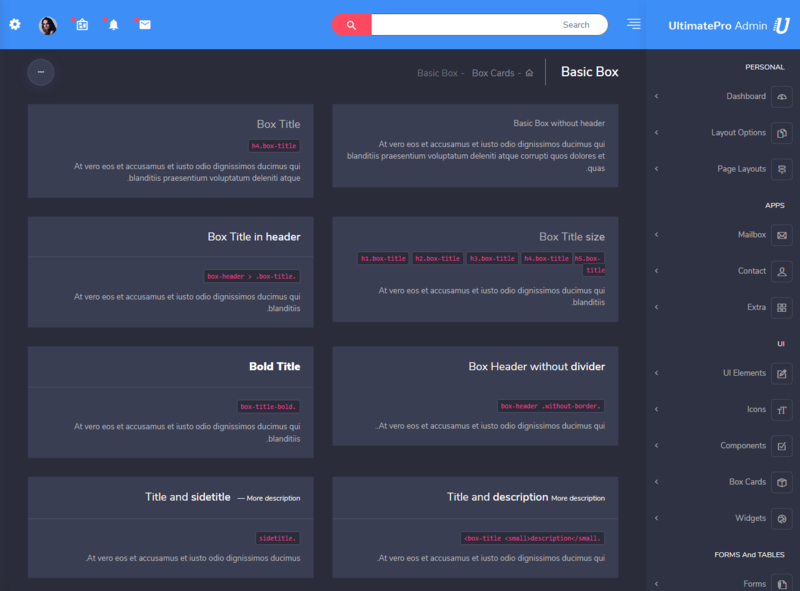 UltimatePro RTL Dark Admin – Bootstrap Admin Templates comes with Advanced Box. 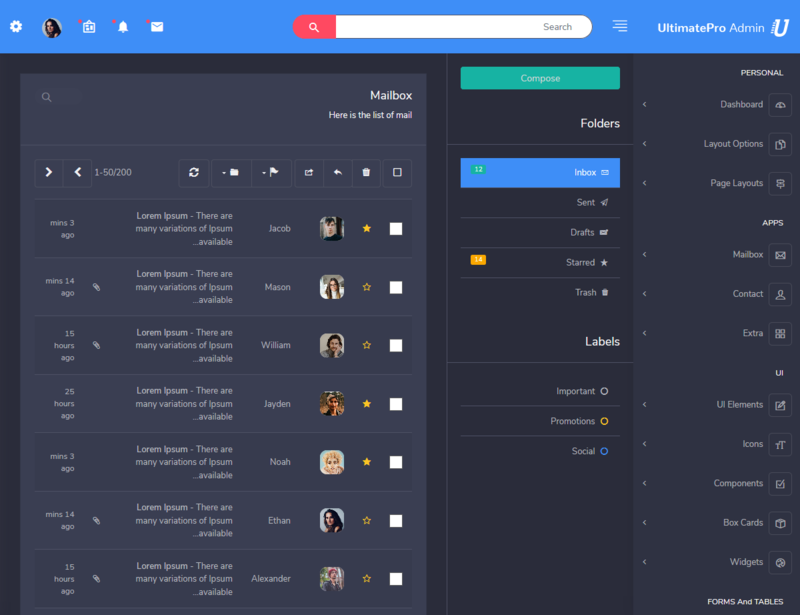 UltimatePro RTL Dark Admin – Premium Admin Template comes with Basic Box. 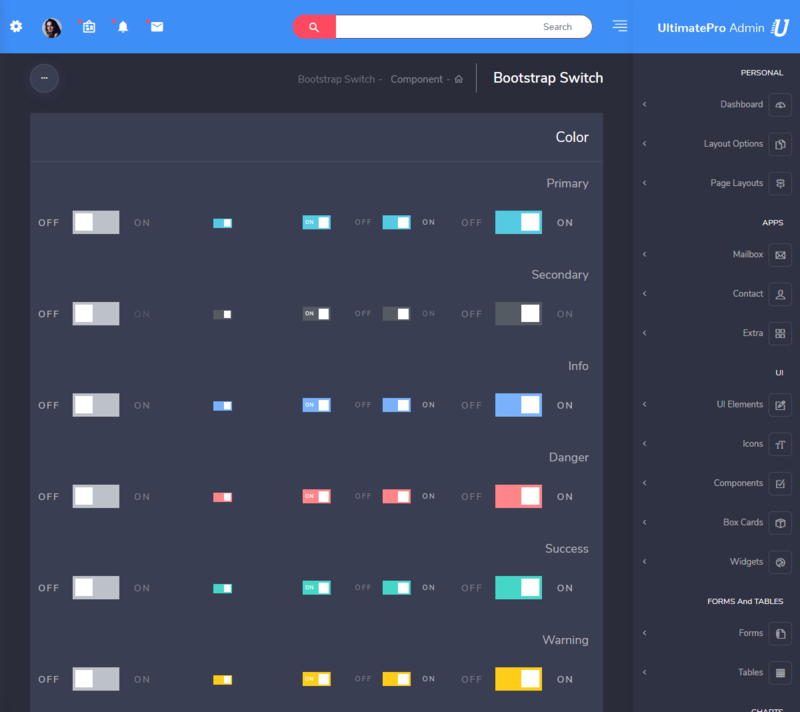 UltimatePro RTL Dark Admin – Premium Admin Template comes with Box Color.